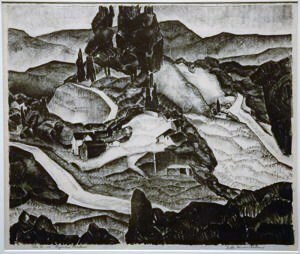 The San Diego Museum of Art Artists Guild - WHO WAS BELLE BARANCEANU? 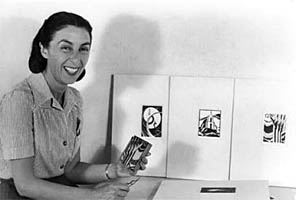 Belle Baranceanu (1902 – 1988) was President of the Artists Guild in 1950. She left an indelible mark on the arts in San Diego. 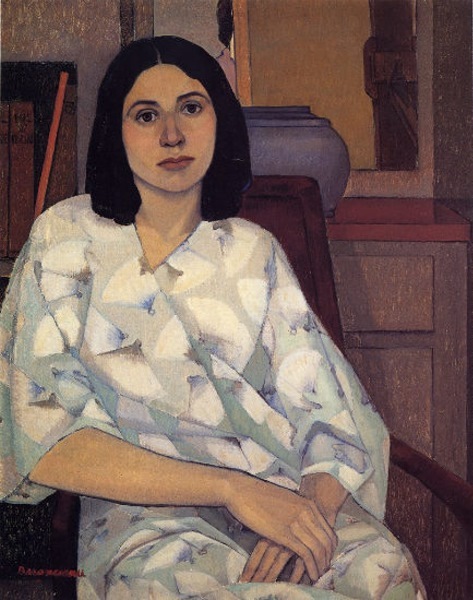 As a printmaker, a portrait painter, a muralist and a beloved teacher she is remembered fondly as a free spirit and a true artist. 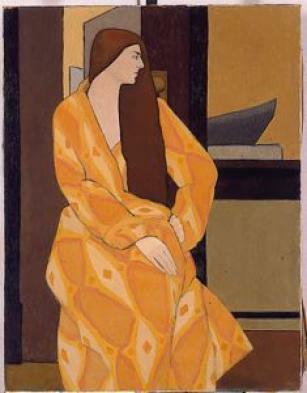 The San Diego Museum of Art has pieces of her work in its permanent collection. Steps from the Museum you can still see one of her huge, complex murals in the Balboa Park Club today. Belle Goldschlager (1902 – 1988) took her mother’s name Baranceanu after the tragic death of her fiancée in Chicago. She never married. She left a blossoming career there to begin again in San Diego in 1933. 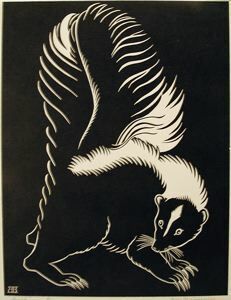 Her earliest training was as a printmaker. Baranceanu’s portrait paintings reflected her mastery of linear expressionism. 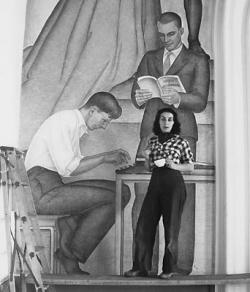 As a muralist, Baranceanu made the greatest impression on San Diego and she became the ‘go to’ person for all the WPA mural projects. 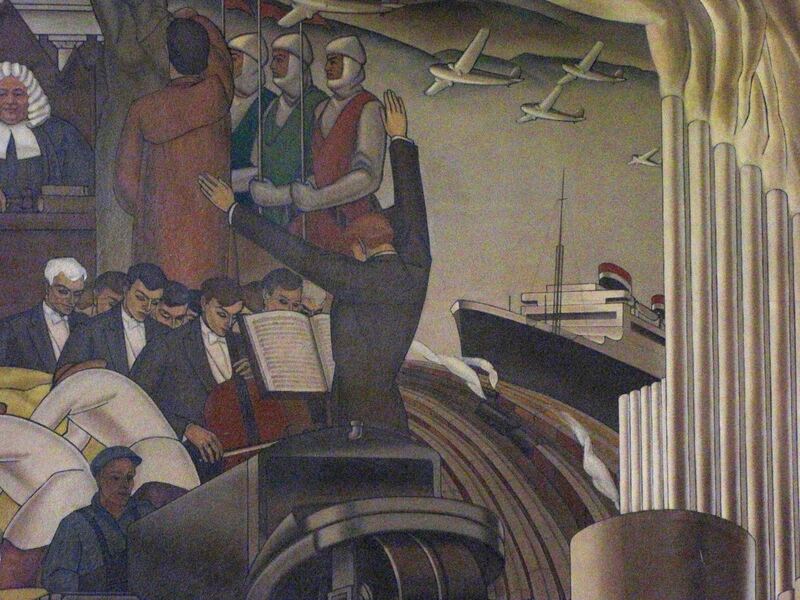 Her huge and complex mural, The Progress of Man, can be seen steps from the San Diego Museum of Art in the Balboa Park Club building next to the Puppet Theatre. Currently, the BACC (Balboa Art Conservation Center) is restoring the work to its 1935 original state. Eleanor Roosevelt declared it to be ‘one of the best she’d ever seen’ during a visit to Balboa Park in 1935 for the California Pacific International Exposition. Imagine depicting the whole development of mankind in one grand design! The Seven Arts Mural (detail) showing Donal Hord at work sculpting "The Guardian of Water", which stands on the west side of the County Administration Building. 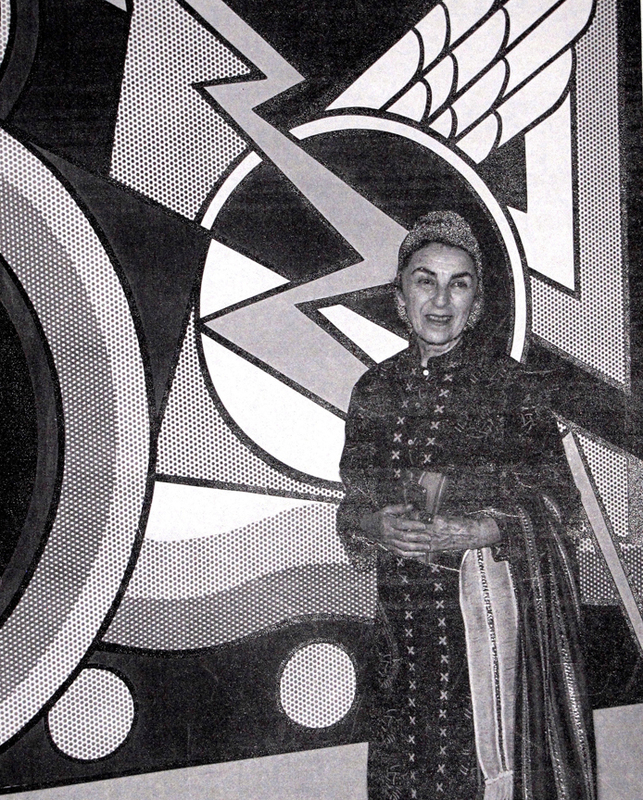 In this unpublished photo we see Baranceanu in front of a painting by Roy Lichtenstein during an exhibit of work from the Museum of Modern Art in New York City which was on display at the San Diego Museum of Art in 1977. Baranceanu left her work to the San Diego History Center which proudly displays her murals today. Her extraordinary artistic gifts and her generous spirit leave us a rich legacy.